Educational Stream : B.E /B.Tech (ECE, IT,CSE,EEE & all circuit branches except Civil, Chemical, Mechanical, Aeronautical, Automobile Core branches),MSc, MCA - 2015 Pass outs without any standing arrears. Percentage : 65% and above from 10th, 12th and Degree. 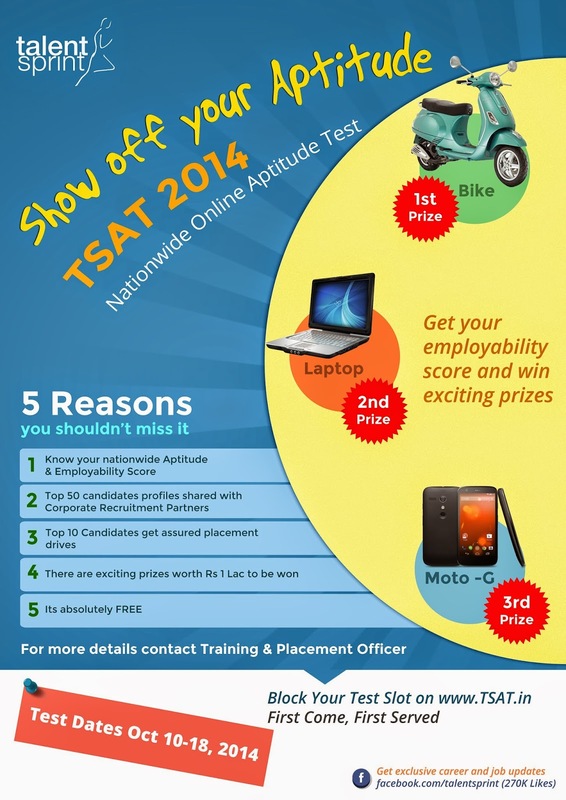 Due to holidays the TSAT exam date is extended till 25.10.2014. Students may make use of it. Training and Placement Cell (TPC) of Anna University Regional Centre, Coimbatore is planned to organize campus recruitment drive for the passed out students of 2013 & 2014. Venue & Time : Intimated later. Interested students those who are eligible and willing to participate in this recruitment drive are informed send their to the E-Mail ID: ksrceplacement@gmail.com on or before 20th Oct'2014 to proceed further. Opportunity for the Campus Connect College Students ! 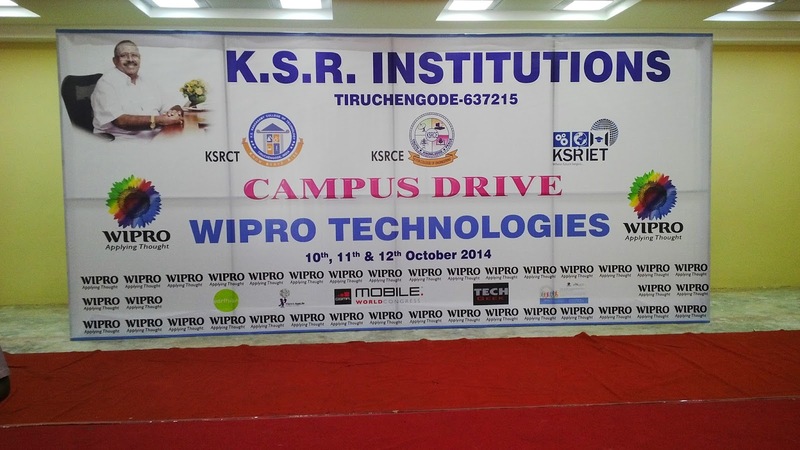 SRII India Conference at Infosys Bangalore Campus from 6th to 7th November 2014. SRII mission is to drive “Innovation for IT Enabled Services for major sectors of economy for a Better World”. SRII members include senior leaders from major industries, academia, research, and government organizations from around the world. SRII India conference is aimed at discussing and debating latest trends in cutting edge areas like Internet of Things, Big Data Analytics, Healthcare IT and Smart Nation. Expert speakers from all over India are participating in the discussions. Early Bird special scholarships (reimbursement mode) for first 30 student registrants coming via campus connect, register before 21st October 2014. 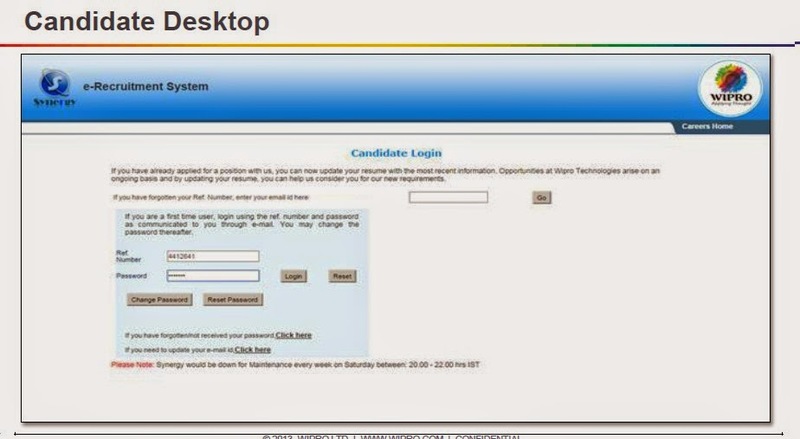 Following are the types of registration available. Registration can be done in two modes. For offline, Kindly send an email to srinivas_p@infosys.com with transaction Id, email Id, name,contact no. of registered participants along with the category under which registration is done. The tickets will be available to you at your inbox within an hour from registration. 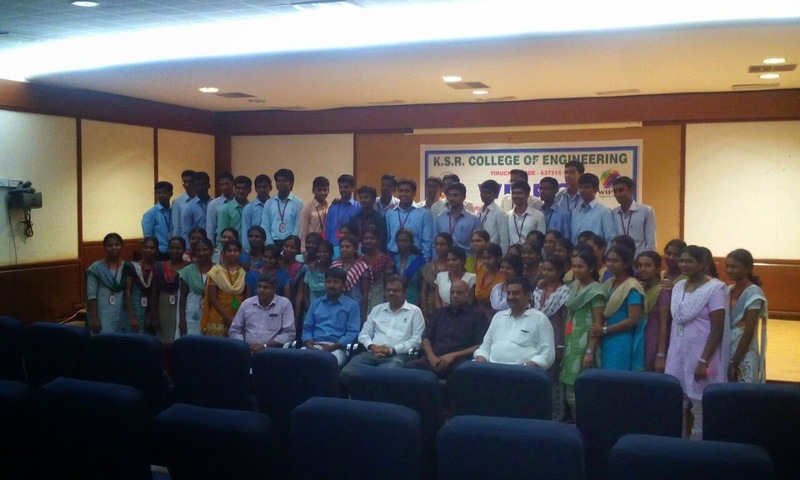 Hearty Wishes and Congrats to the students placed in M/s Wipro Technologies!!! Thanks to all the Student Volunteers ! ! ! T & P Co ordinators ! ! ! Faculty and Staff members ! ! ! 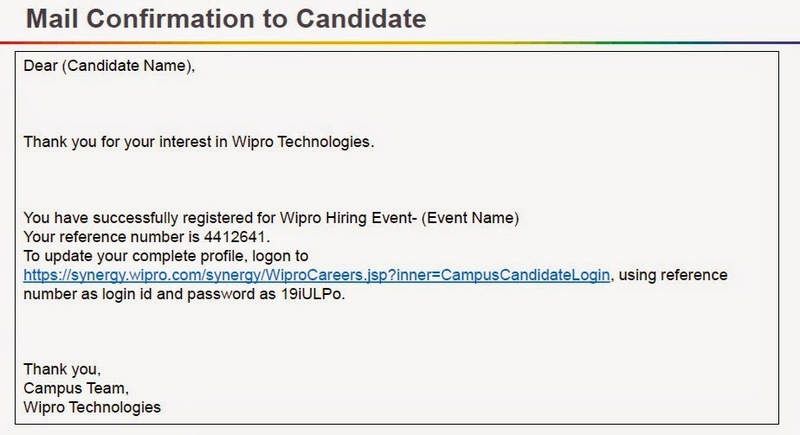 Attention to Wipro eligible students !!! 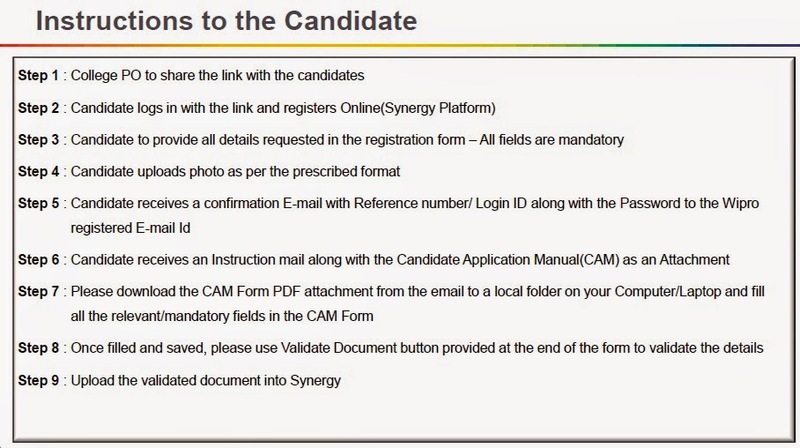 Instrructions to the students for "Candidate Registration"
Ensure the above process . . . 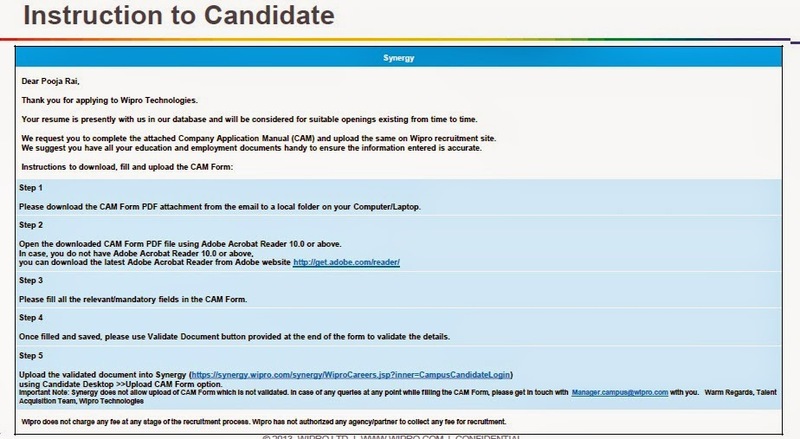 Please find below URL for WIPRO Campus Recuritment candiates regisration. Register your details with the above link. 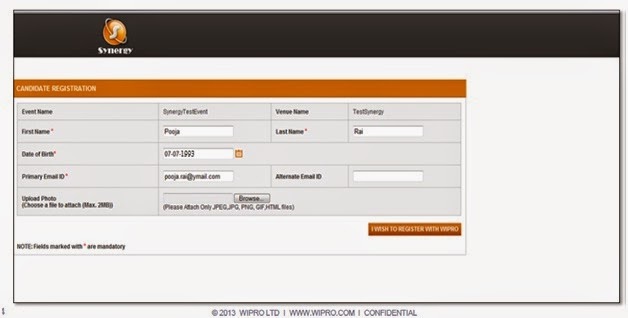 Note the reference number once the registration process completed. Attention 2015 Batch Students !!! We start our Recruitment Process with our Industry partner the Prestigious organization M/s Wipro . . .
DAY 1 Recruitment process . . .
Start your career with the M/s WIPRO!!! Prove that KSRCE is Best!! !